Successfully Added HK Warehouse Elephone C1 Max Android Phone - Android 7.0, Quad-Core, 2GB RAM, Dual-IMEI, 4G, 6-Inch IPS, 13MP Dual-Camera (Red) to your Shopping Cart. The Elephone C1 Max is an affordable Android phone that lets you enjoy all the latest smartphone features. It runs on the Android 7.0 operating system. This means that you’ll be able to use the latest Apps and software without encountering any difficulties. Play Store access makes it easy to download all your favorite media. Whether you like to watch a film, play a game, or enjoy an App – nothing is impossible with the Elephone C1 Max. The phone comes with 32GB ROM that can be extended via a 64GB SD card slot. Therefore, you won’t have to worry about running out of storage for all your files. With its stunning 6-Inch display, this cheap Android phone treats you to breathtaking HD visuals. If you’re a fan of mobile entertainment, this large screen Android smartphone is perfect for you. It features IPS technology, meaning that you can enjoy great detail and color no matter your viewing angle. Along with the phone’s 2800mAh battery, it will get you through a days’ worth of entertainment without you needing to worry about recharging your device. Underneath its large display, this 6-Inch smartphone packs a Quad-Core processor and 2GB RAM. You’ll furthermore be treated to two SIM card slots and 4G. This brings along great connectivity for you to enjoy no matter where you’re at. With the Elephone C1 Max smartphone, you’ll always be able to browse the web and stay in touch with friends and family. For all the mobile photography lovers among us, the phone even packs a professional-grade 13MP dual-rear camera. This piece of equipment shoots breathtaking images and Full-HD video of all those upcoming special moments. 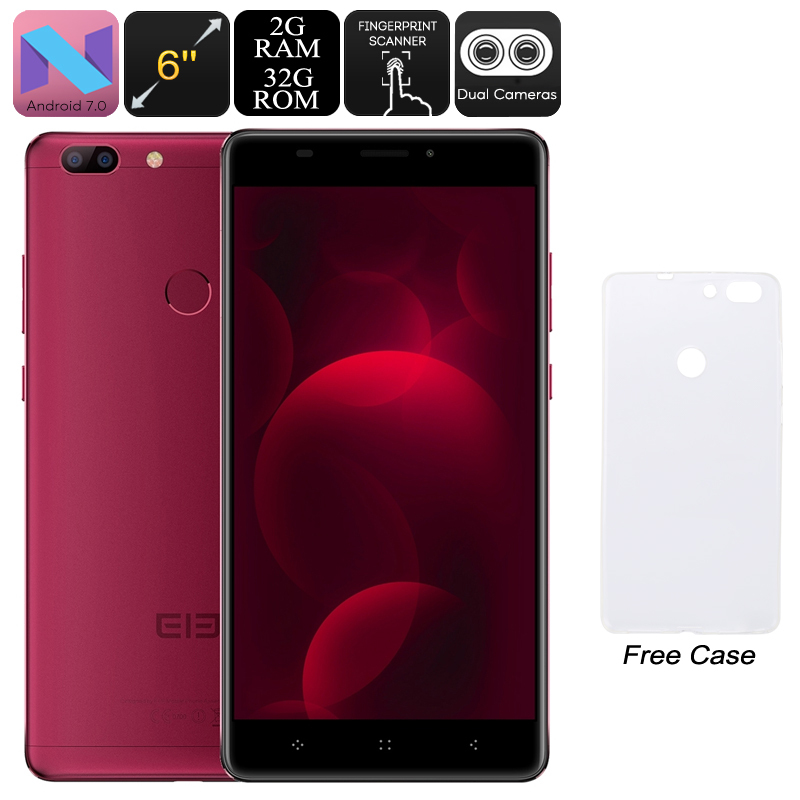 The Elephone C1 Max Android smartphone comes with a 12 months warranty, brought to you by the leader in electronic devices as well as wholesale Android Phones..
Love it. Works well in Australia, internet and phone coverage. Good it came with clear silicon back cover. Easy change sim and SD. Big clear screen. Why are smaller phones still available lol. Happy. Screen cast does not see my TV. Bit of a bummer. Still giving it a top rating.